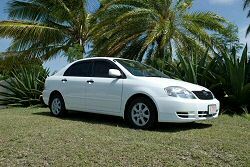 Antigua car rentals: Vernon's Taxi & Car Rental. Vernon’s Taxi Service is available for RETURN TRANSFERS to the Airport. Please send your arrival and departure details and we will be there for your pick up. 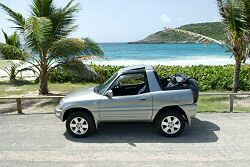 Island tour is approximately 5 hours & includes shopping in St. John’s, visit to Historical Nelson’s Dockyard and the Rain Forest. The Historical Tour gives you a chance to visit Shirley Heights, The Block House and Nelson’s Dockyard, this tour is approximately 3 hours. The Heritage Tour is approximately 2 ½ hours, learn of our Heritage as you visit Betty’s Hope, Devil’s Bridge and the Dockyard. Enjoy our unique Antigua Beach Lime Tour, where you can relax on our beautiful White Sand Beaches, great for Swimming and Snorkeling in our crystal clear waters..
For the most dramatic Sunset in Antigua, visit Shirley Heights on a Sunday afternoon. Socialize and dance to the steel Band’s pulsating Caribbean rhythms. Last but not least, we are available to take you to the finest Restaurants and Casinos on Antigua, send us your dates and what your interest are and we will make it happen. Please remember to have with you, your Cameras and Sun-block. For shopping in St. John’s, take your passport and flight information for duty free purchases. Anyone who books one week or longer rental on-line will receive a 5% discount. 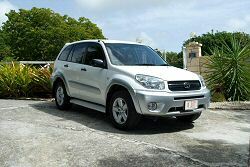 Temporary Antigua Drivers license required which is valid for 3 months. A one time fee of USD20 or ECD50 is applicable. When booking your rental please include your Driver’s License details. Free Pick up and Delivery Island Wide (Prices subject to change without notice). Taxes and surcharges not included. We accept Visa Card, Master Card, Discover Card and Travelers Cheques.